The Internet of Things is gaining in popularity just as many pundits have predicted for years. Having a connected home is easy and cost effective, thanks to devices like Amazon Echo, WeMo lights, and Nest thermostats. It really is an exciting time to be a tech-enthusiast consumer. Unfortunately, while IoT is exciting, it can also be confusing and scary. Many devices do not work together due to fragmentation, and even worse, there can be security exploits that put the consumer's home network at risk. In other words, an internet connected refrigerator or webcam could be abused by hackers. Today, The Linux Foundation launches the open source EdgeX Foundry -- an attempt to unify and simplify the Internet of Things. 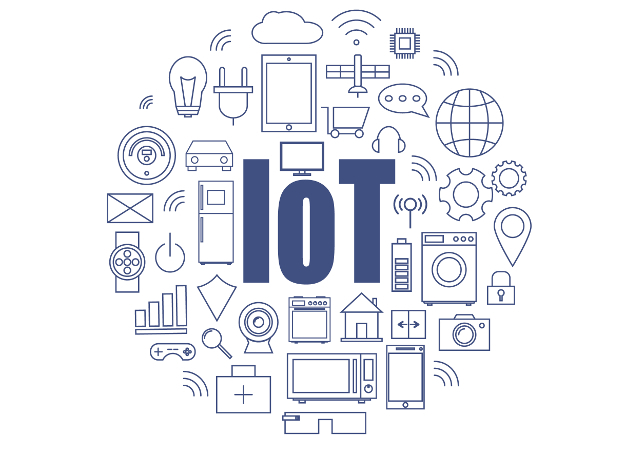 "IoT is delivering significant business value by improving efficiencies and increasing revenue through automation and analytics, but widespread fragmentation and the lack of a common IoT solution framework are hindering broad adoption and stalling market growth. The complexity of the current landscape and the wide variety of components creates paralysis. EdgeX solves this by making it easy to quickly create IoT edge solutions that have the flexibility to adapt to changing business needs," says The Linux Foundation. The foundation also says, "EdgeX Foundry is unifying the marketplace around a common open framework and building an ecosystem of companies offering interoperable plug-and-play components. Designed to run on any hardware or operating system and with any combination of application environments, EdgeX can quickly and easily deliver interoperability between connected devices, applications, and services, across a wide range of use cases. Interoperability between community-developed software will be maintained through a certification program." The Linux Foundation shares the following EdgeX Foundry founding members. While many of these founding members are significant, Ubuntu-maker Canonical may be the most so. Mike Bell, Executive Vice President, IoT explains, "At Canonical, we have been pushing the need for standardization and commonality in the industry for a long time; the introduction of snaps being one example. We are therefore pleased to see a continuation of this with the launch of the EdgeX Foundry and proud to be one of the founding members. We are obviously advocates of the open-source nature of the project and believe this will further enhance all players in the ecosystem to align to drive business growth and further innovation." What makes this initiative so important -- besides its open source nature -- is that it has the potential to make consumers safer. Look, I get it -- innovation moves like a rocket, and a focus on security can slow that down. With that said, consumers deserve to have their privacy and security respected. Manufacturers need to be on the same page not only for the benefit on consumers, but for them too. A security exploit in an IoT device can ruin a company's brand. It is time for everyone to pause, take a breath, and make sure that the Internet of Things progresses on the right track. Hopefully EdgeX can assist in that goal.